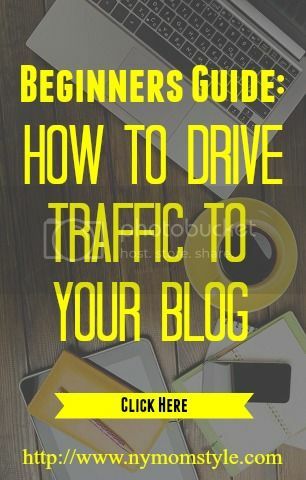 There will be one prize awarded to one winner: Kindle Fire HD 8.9” Tablet 16 GB, w/wi-fi ($229 ARV) Bloggers participating in the event are welcome to enter! Open to U.S. residents! Want more information on how to keep air pollution out of the house, business and other areas. Air Scrubbers Plus have ways to help you feel and keep a healthier environment. To find out more visit Air Scrubbers Plus. Indoor air pollution may be 2-5 times, and occasionally, more than 100 times higher than outdoor levels. Sources of pollution include heating oil, gas, kerosene, coal, wood, and tobacco products; building materials and furnishings; household cleaning products; central heating and cooling systems and humidification devices; and outdoor sources such as radon, pesticides, and outdoor air pollution that enter the home. Air Scrubber Plus® with ActivePure™ technology is based on a variation of the technology originally developed for use in the International Space Station and is recognized as the exclusive Certified Space Technology by the Space Foundation in its category. 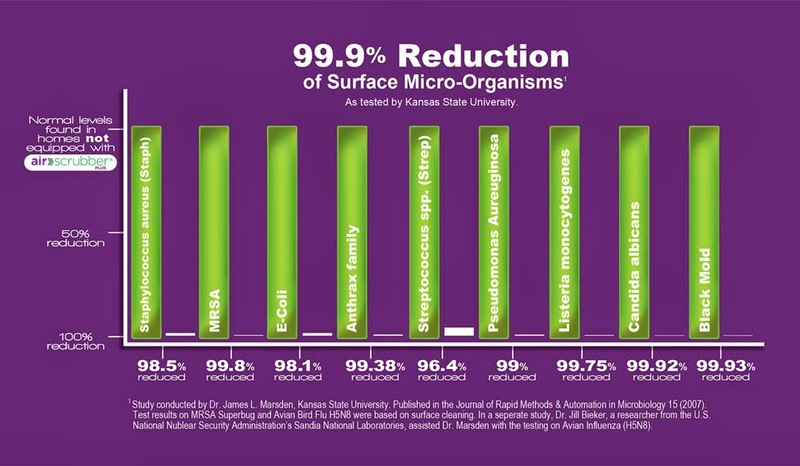 Air Scrubber Plus offers the only environmental technology that is scientifically proven to actually reduce contaminants in the air and surfaces of the home. This would help my daughter with her allergies SO much! I learned that these scrubbers work 24/7 in your living environment, continuously reducing airborne and surface contaminants, mold, dust, pollen and odors. I learned that the Air Scrubber Plus cleans, freshens and purifies the air using specialized germicidal UV light waves along with a proprietary catalytic process that creates enviroscrubbing molecules of oxygen and hydrogen, just like nature’s outdoor scrubbers!
! Air Scrubber Plus® extends the life of your existing heating and air conditioning system by trapping dirt, dust and other debris before it enters through the filter, damaging the coils and blower that keep your system running effectively. I learned that Air Scrubber would take care of the pollutants in the air from my pets and my boyfriends cigarette smoke! 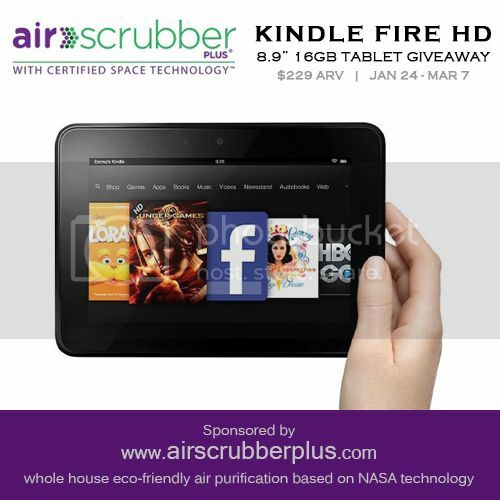 I learned just how healthy my environment could be with a product like Air Scrubber Plus. What an incredible way to remove and keep Mold away. Air Scrubber Plus works 24/7 keeping your surroundings clean and clear of all the pollutants that cause serious problems. Thanks for the post and the introduction to such a product. I have never heard of Air Scrubber Plus before until I read this post. Great product. Installation is easy and a standard air scrubber covers up to 2000 sq. ft. Would love to have one to alleviate all of the toxins in the the air. I have allergies to mold and dust, this would be be a huge benefit in my home. I like that it travels thru the ductwork in your entire home. I learn that the Air Scrubber Plus is a revolutionary new system designed to help eliminate indoor air quality risks by reducing air pollutants, VOCs (chemical odors), cigarette smoke, dust, pollen, mold, odor-causing bacteria and odors caused by pets and cooking. I learned that Air Scrubber Plus works 24/7 keeping your surroundings clean and clear of all the pollutants that cause serious problems. they work on pet dander too! I learned that Air Scrubber would take care of the pollutants in the air from my pets. 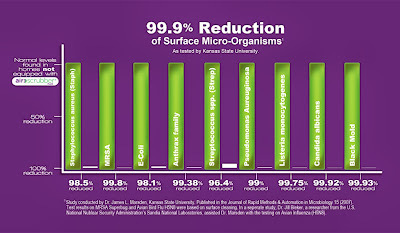 Air Scrubber Plus with ActivePure technology reduces up to 99.9% of the harmful contaminants throughout your home. I had no idea such technology was available. I like that air pollutants, VOCs dust, pollen, mold, and odors caused by pets and cooking are reduced. I learned Air Scrubber Plus® extends the life of your existing heating and air conditioning system by trapping dirt, dust and other debris before it enters through the filter, damaging the coils and blower that keep your system running effectively.